Whether in the blissful days of summer or the crisp mornings of winter, nature-inspired wedding is a popular choice for bride and grooms all over the country when it comes to their special day. 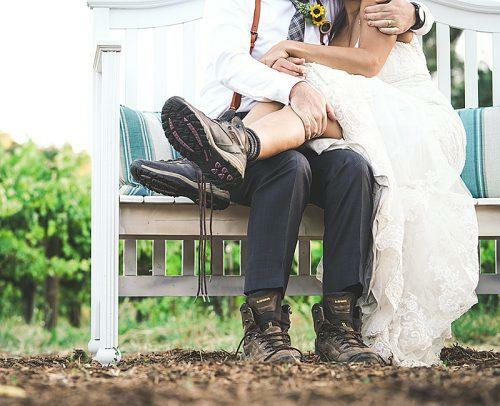 From hanging natural decorations in the reception venue to using the beautiful outdoors for the ceremony itself, planning your dream naturalistic wedding has never been easier! Today, we’re providing plenty of wedding inspiration from picking earth-toned jewelry to match the dress, to how to transform fallen pine cones into beautiful table decorations and more. Regardless of the time of day your celebrations are set to begin, guests who started the day singing and dancing may later descend into a crowd of hungry mouths waiting to be fed by the time the evening festivities finally arrive. So, before their food arrives, why not decorate the table using natural ornaments and trinkets such as pine cones and flowers, to pay homage to the locally-sourced cuisine about to be set on the table before them? A simple and easy way to begin your table decoration planning is to start collecting findings from your garden and Sunday dog walks in the months leading up to your big day. Once gathered, make the most of discarded logs, pine cones, and common flowers by immersing yourself in a spot of DIY table decor. 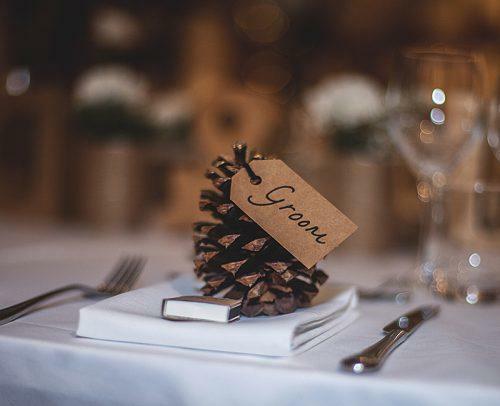 If you’re able to, cut up and transform old logs into unique dinner placemats, use pine cones and acorns for your name tag displays and don’t be afraid to create your own centerpieces made from flowers you’ve grown in your own garden. One of the longest lasting memories that your guests will take away with them is the place in which they spent hours celebrating with you. Whether it’s where you take your vows or the celebratory reception venue, embracing the outdoors inside is a beautiful way to incorporate a natural theme into your wedding. If you’re planning a summertime soiree, we suggest opting for playful picnic benches and hay bales as alternative seating options. These, coupled with threading solar-powered fairy lights through any surrounding trees, will make a forest setting feel all the more romantic. Not only will an outdoor venue provide you with plenty of room to decorate, but it can also give your guests the freedom to bust out their finest twists and turns come the evening. While you can control the music, unfortunately, the same can’t be said for the weather. Although a small bout of snowy weather may be welcomed by your guests, don’t put yourself in a position where a sudden downpour has the potential to put an all-out dampener on your day. Secure a marquee or sail shade around your outdoor space and dot heaters and blankets throughout your venue – as this will ensure your guests’ spirits (and finest wedding attire) aren’t deflated if the heavens decide to open. Now for the best part – the outfit! When you look back at your pictures years down the line, you’ll want to make sure your dress makes as much of an impression in the photos as it did at the time they were taken. For the bride, incorporate natural amber jewelry into your look for an organic splash of color. Not only will this add a classy, earthy touch to your ensemble, but amber jewelry can easily be incorporated into outfits long after the big day. When it comes to the groom, it’s all in the detail. 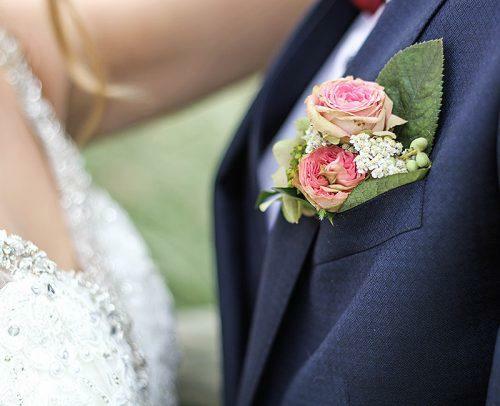 Why not choose flowers for their lapel that hold a special significance to you and your partner? This is sure to add the unique touch to your day that it deserves. What’s more, if you choose to source your flowers locally, you’re able to keep your day as eco-friendly as possible. Whether you opt for a few small details in your wedding attire or you want your wild surroundings to play a central role in your day, breathing fresh, natural life into your decor will give your wedding the fresh uplift you’ll be proud to share with friends and family on the day. Anna Emmett is the owner of Henryka Jewellery, specializing in hand-crafted, unique silver, amber and gemstone jewelry that’s inspired by the natural world.